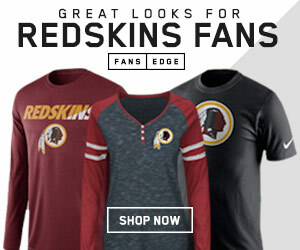 According to CSN’s Tarik El-Bashir, Redskins linebacker Ryan Kerrigan underwent arthroscopic knee surgery, and is expected to miss the start of OTAs next week. Sources indicated that the injury was not that serious although no one is sure how long Kerrigan will miss. Kerrigan has felt soreness/discomfort in the knee for awhile now. Kerrigan was the best player for Washington last year recording 13.5 sacks, five forced fumbles and 51 QB pressures (good enough for 2nd best in the NFL) en route to a Pro Bowl appearance. 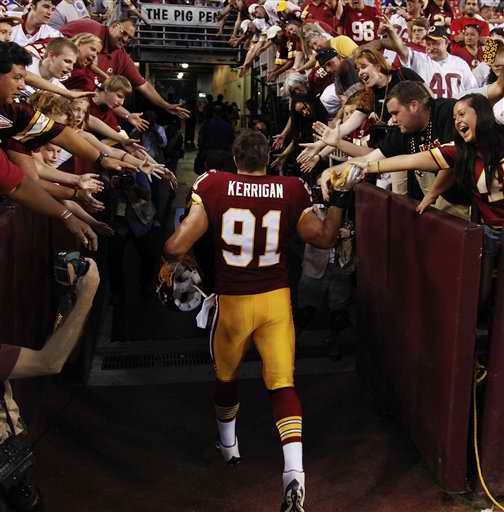 Just last May the Redskins decided to pick up Kerrigan’s $7 million, fifth-year option for the upcoming season. According to Kerrigan, talks are progressing well between both side on an extension. 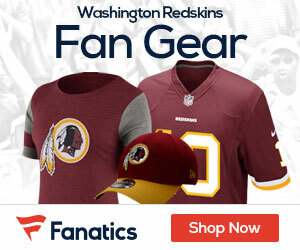 The Redskins OTAs start next Tuesday as the first of three sessions get underway in Ashburn, Va. The program will conclude with veteran minicamp, which is set for June 16-18.